Shelf life over one year. Nitrogen blanketed. 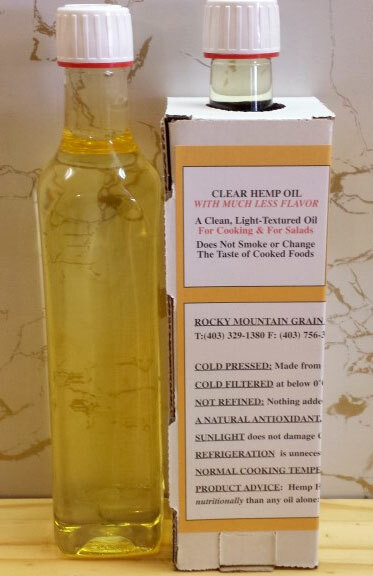 You can order both Clear Hemp Oil or Green Hemp Oil (available at the same price). Make sure to specify your preference during checkout (or by e-mail, after the order was placed). 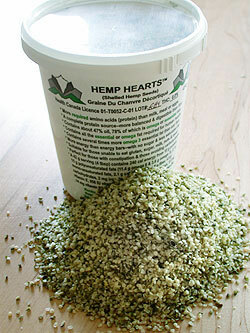 If preference is not specified, by default we send Clear Hemp OIL. Bottled in 16 oz. (500 ml) clear glass bottles, packed 9 per case. Oil is clear and sparkling clean (will not smoke during cooking). No refrigeration required. Made weekly. A NATURAL ANTIOXIDANT: Vitamin E prevents any deterioration of CLEAN Hemp Oil. NORMAL COOKING TEMPERATURES do not damage this oil. Does not smoke or change the taste of cooked foods. Laboratory tests available. 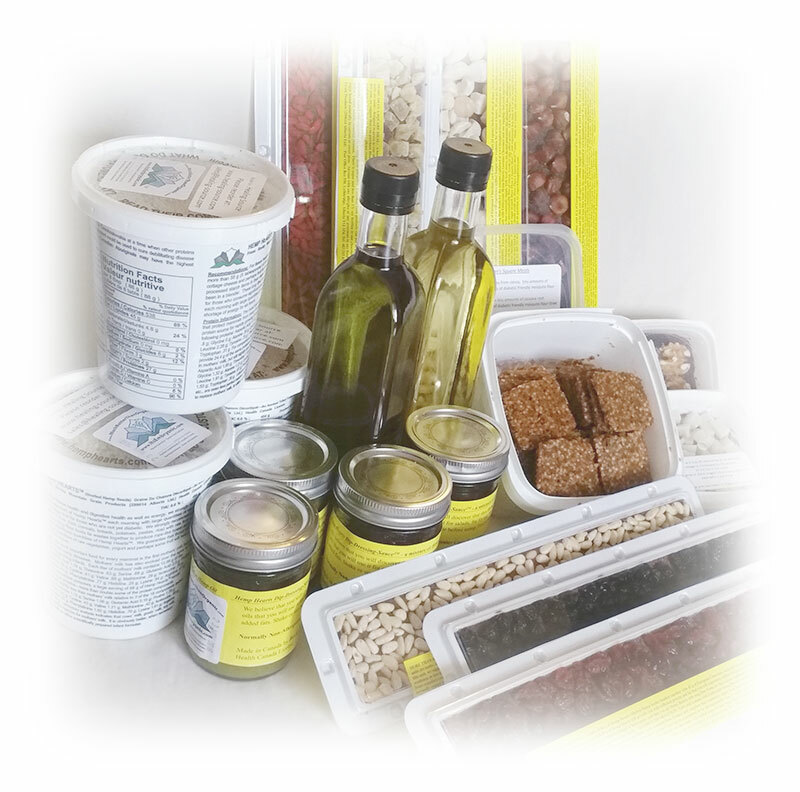 Consuming our Clear Hemp Cooking and Salad Oil is not a replacement for taking Hemp HeartsTM (shelled hemp seeds). 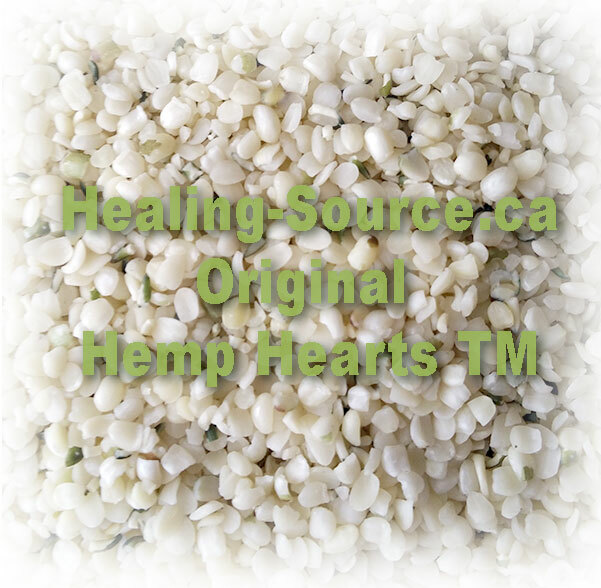 Though Hemp Oil does contain the desired ratio of Essential Fatty Acids (Omegas) required for human health, it does not retain the Essential Amino Acids (Proteins), some of the vitamins or live enzymes through the extraction process. 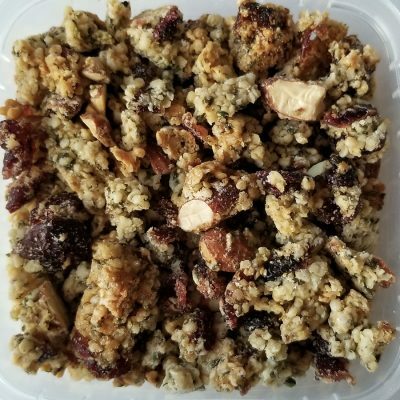 The combination of these Essential Amino Acids (Proteins) combined with the right balance of Essential Fatty Acids (Omegas), vitamins, calcium and live enzymes is considered to be more the key to reversing the symptoms of many late onset health conditions. 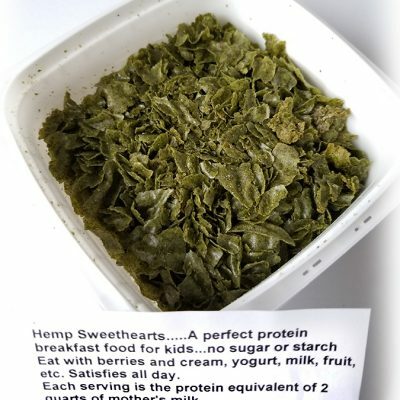 Hemp HeartsTM (shelled hemp seeds) do contain that optimum balance of essential nutrients. Tests have concluded that there is no deterioration of Clear Hemp Cooking And Salad Oil unless temperatures are well above 250 C (482 F) for much more than one-half hour OR well above 200 C (392 F) for longer than 16 hours. 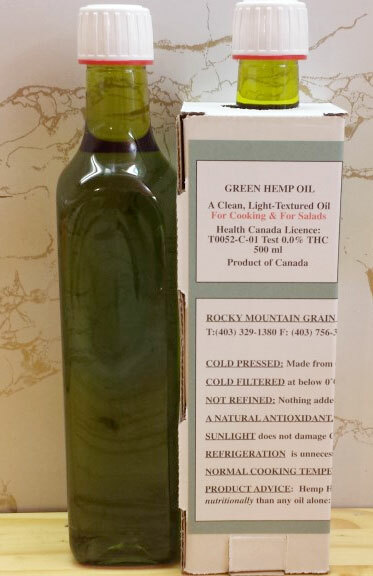 You can order both Clear Hemp Oil or Green Hemp Oil (available at the same price). Make sure to specify your preference during checkout.